Preheat grill to medium heat. 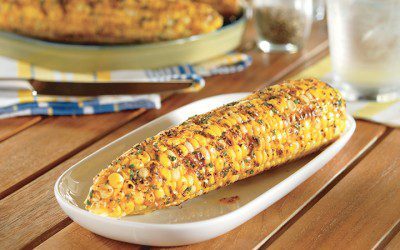 Coat corn with nonstick cooking spray. Grill, covered, 18 to 20 minutes or until golden brown, turning frequently. Serving size: 1 ear of corn and 2 teaspoons spread.